The name Keemun comes from Qi Men in southern An Hui province. This tea was created in 1875 during the Qing Dynasty and quickly gained popularity especially in England. 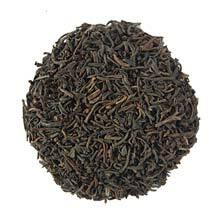 For taste, Keemun is considered matchless, and regarded as one of the three best fragrant teas in the world. A harmonious combination of fruity and flowery taste gives this tea a very unique and intriguing flavor.